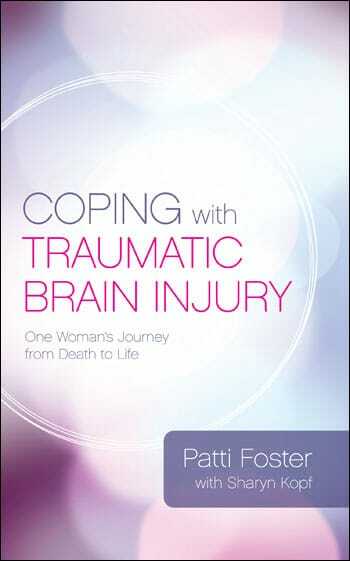 Coping with Traumatic Brain Injury: One Woman’s Journey from Death to Life by Patti Foster; BookJolt, 2013. In the split second it took for a semi to slam into the back of the SUV Patti Foster was riding in, her world changed. Her life, in fact, almost ended that night. Miraculously, she survived, but her ordeal had just begun. After weeks in a coma, she woke up to an existence she couldn’t comprehend or even begin to understand. As a traumatic brain injury survivor, today she shares her story in the hope it will inspire and help other brain-injury victims, their friends and families. Also available as audiobook. Facing a devastating brain injury from a car crash, 15-year-old Jen was not expected to survive. Doctors warned her parents that if she regained consciousness, she’d be screaming in confusion. But instead—though she didn’t recognize her family—she did remember every Scripture and praise song she’d hidden in her heart. An awe-inspiring testimony!Also available as audiobook. Confronting Traumatic Brain Injury: Devastation, Hope, and Healing by William Winslade; Yale University Press, 1998. William Winslade presents facts about traumatic brain injury; information about its financial and emotional costs to individuals, families, and society; and key ethical and policy issues. This book explains what TBI is, how it is caused, and what can be done to treat, cope with, and prevent it. Head Cases: Stories of Brain Injury and Its Aftermath by Michael Paul Mason; published by Farrar, Strauss, & Giroux; 2009. Mason takes you to the darker side of the brain using strange but true stories from those with brain damage. An exploration of the brain and its mysteries underlies each story. On the road with Mason, we encounter survivors of brain injuries as they struggle to map and make sense of the new worlds they inhabit. Head Injury: The Facts (Second Edition) by Dorothy Gronwall, Philip Wrightson, and Peter Waddell; Oxford University Press, 1998. These three New Zealand doctors have written an extensive guide for survivors, families and care-givers of brain-injury survivors. They include effects, recovery stages, procedures and techniques, as well as long-term management and rehabilitation adjustments. I Am the Central Park Jogger: A Story of Hope and Possibility by Trisha Meili; Scribner, 2003. Meili tells us who she was before the attack — a young Wall Street professional with a promising future — and who she has become: a woman who learned how to read, write, walk, talk, and love again…and turn horrifying violence and certain death into extraordinary healing and victorious life. “One woman comes to terms with the loss of her identity and the courageous steps (and hilarious missteps) she takes while learning to rebuild her life” following a traumatic brain injury. Rights Come to Mind: Brain Injury, Ethics, and the Struggle for Consciousness 1st Edition by Joseph J Fins; Cambridge University Press, 2016. Drawing upon over fifty in-depth family interviews, the history of severe brain injury from Quinlan to Schiavo, and his participation in landmark clinical trials, such as the first use of deep brain stimulation in the minimally conscious state, Joseph J. Fins captures the paradox of medical and societal neglect even as advances in neuroscience suggest new ways to mend the broken brain…Fins places society’s obligations to patients with severe injury within the historical legacy of the civil and disability rights movements, offering a stirring synthesis of public policy and physician advocacy. The Vow: The True Events that Inspired the Movie by Kim and Krickitt Carpenter and Dana Wilkerson; B&H Books, 2012. Weeks after a horrific car crash, Krickitt Carpenter wakes up from a coma to discover a husband she no longer recognizes. But Kim sticks with her during her long recovery, giving them time to fall in love all over again. Not because he’s a hero but because he made a vow. Hope Heals: A True Story of Overwhelming Loss and an Overcoming Love by Katherine and Jay Wolf; Zondervan, 2016. In 2008, first-time parents Katherine and Jay were living their dream. But suddenly their happy life was derailed when Katherine suffered a near-fatal stroke that left her with double vision, difficulty speaking, and a paralyzed arm. Was this what God had planned for her life? Her answer may surprise you as you read her courageous account! Life With a Traumatic Brain Injury Finding the Road Back to Normal by Amy Zellmer; CreateSpace Publishing, 2015. In February 2014 Amy Zellmer slipped on a patch of ice and fell, forcibly landing on the back of her skull. The impact briefly knocked her out, and when she started to get up, she immediately knew something was very wrong. Amy had suffered a Traumatic Brain Injury (TBI) and was about to start a journey unlike anything she had ever experienced. Her life had changed in literally a blink of the eye. Hope for the Journey: A 52-Week Spiritual Journal by Patti Foster, Redemption Press, 2016. There is hope for the journey when fears barges in and screams, “Why? What do I do? Who do I talk to?” When the unexpected happens, lives are changed in an instant! As adversity erupts in your life, Hope can appear on the scene in all shapes and sizes at just the right time. It has no limits, knows no boundaries. For each day of the week (you’ll have the weekend off! ), dive into that week’s devotional and take another step toward life…and experience a personal taste of hope for YOUR journey! Navigating Through a Strange Land: A Book for Brain Tumor Patients and Their Families is a book that includes both professional guidance and the moving personal stories of patients and family members. It is edited by Tricia Ann Roloff, former editor and program associate with the National Brain Tumor Foundation, and also a one-time patient. Each year, 100,000 people in the United States are diagnosed with a brain tumor. With his new book, Dr. Peter Black fills a gap in the lay readership, providing an accessible medical resource for adult patients and their families. Dr. Black, who has operated on more than 3,000 patients with brain tumors, is uniquely qualified to discuss both clinical treatment of and research into brain tumors. “What is a Brain Tumor?” provides straightforward information about how brain tumors are diagnosed, the different types of tumors and how they develop, and where to go for treatment. “Coping with Shock” addresses the emotional impact of the diagnosis on the patient and their family, offering specific advice on support groups and how to managing work and finances during your treatment. “Treatment options” outlines the complex array of available treatments in a sequential, logical, and thorough manner, enabling readers to make informed decisions. “Recovery” describes how to deal with the aftermath, addressing issues ranging from physical scars to speech and occupational therapy. Dr. Black believes that more than half of brain tumor cases can be resolved with relatively minor side effects or none at all. Equipped with this informative book, patients and their family and friends can learn how to fight brain tumors effectively, putting them on the path to wellness. In An Instant: A Family’s Journey of Love and Healing, by Lee and Bob Woodruff; Random House, 2007. ABCs World News Tonight co-anchor Bob Woodruff and his wife share the never-before-told story about the attack in Iraq that left Bob seriously injured. This honest, frank account is a love story of two people and how they have recovered and renewed their lives. Congresswoman Gabrielle Giffords and her husband, astronaut Mark Kelly, arrived in the world spotlight under the worst of circumstances. On January 8, 2011, while meeting with her constituents in Tucson, Arizona, Gabby was the victim of an assassination attempt that left six people dead, and thirteen wounded. Gabby was shot in the head; doctors called her survival “ miraculous.” Now, as Gabby’s health continues to show improvement, this book provides an unflinching look at the overwhelming challenges of brain injury, the painstaking process of learning to communicate again, and the responsibilities that fall to a loving spouse who wants the best possible treatment. Coping with Mild Traumatic Brain Injury: A Guide to Living with the Challenge Associated with Concussion/Brain Injury, by Diane Roberts Stoler, Ed.D. and Barbara Albers Hill, published by New York: Penguin Group, 1998. Endorsed by the leading professional experts in the field of brain injury, Coping with Concussion and Mild Traumatic Brain Injury, is a must-have guide for managing life in the aftermath of a concussion. Often presenting itself after a head trauma, concussion– or mild traumatic brain injury (mTBI)– can cause anxiety, chronic migraines, depression, memory, and sleep problems that can last for years, referred to as post-concussion syndrome (PCS). Easy-to-read and informative, this book is an invaluable resource for understanding concussion, post concussion syndrome (PCS) and traumatic brain injury (TBI), as well as overcoming the challenges associated with these conditions. Concussion Recovery: Rebuilding the Injured Brain by Colleen Butler; CreateSpace Independent Publishing, 2012. As stated by Harry Zarins, Executive Director of the Brain Injury Association of Canada, Concussion Recovery is an extremely practical guide, which is written from first-hand experience. The book is a compendium of information, techniques, and insight, which the author, Colleen Butler, has compiled from her own journey to understand brain injury and to find her path to recovery. Colleen’s extensive experience in helping those who are coping with the challenges of brain injury has led her to develop innovative solutions to give hope and speed the recovery of survivors. Readers will greatly benefit from the empathetic, compassionate approach of the book, its humour and the information it offers. Uplifting, honest and straightforward, Concussion Recovery will empower survivors to take control of their recovery journey and to be patient with themselves as they rebuild their lives. Brain Rules for Aging Well by Dr John Medina; Pear Press, 2017. How come I can never find my keys? Why don’t I sleep as well as I used to? Why do my friends keep repeating the same stories? What can I do to keep my brain sharp? In Brain Rules for Aging Well, Dr. Medina gives you the facts about memory, sleep, food, happiness, gullibility, and more – along with the prescription to age well – in his signature engaging style. Finding Normal: An Uninvited Change, An Unexpected Outcome by Jeff Huxford; Morgan James Faith, 2018. In May of 2012, Jeff Huxford M.D. was in a near-fatal car accident, escaping death but suffering a severe traumatic brain injury. This devastating event led Jeff on a journey to a new life and a true purpose. After the brain injury took away his ability to practice medicine, Jeff learned a multitude of wonderful truths about God and he found his value and purpose rooted in Christ. In Finding Normal , Jeff tells of the truths that changed his heart and moved him away from his previous life of “lukewarm Christianity” towards an authentic faith and true relationship with Jesus.